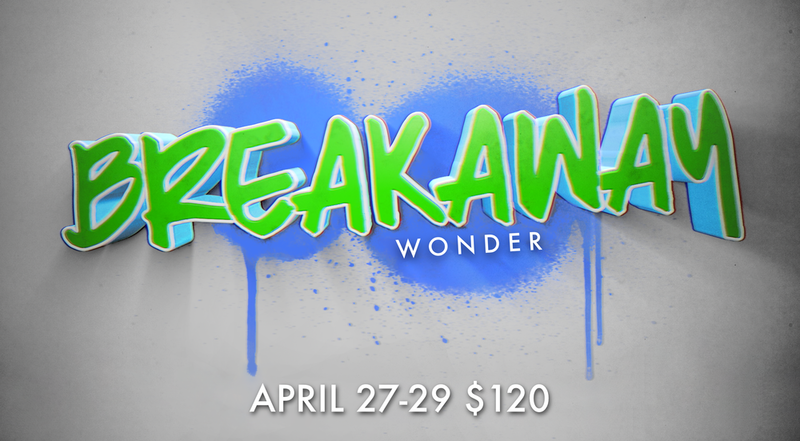 Join us for 4 days at SB2W the Que, where we will canoe, rock climb, zip line, swim, and dig into God’s Word. Our theme this year is WAKE UP. This is the highlight of the summer. Sign up online and bring some friends. We will meet in Whiteside after 3rd service Sunday August 19. Can't wait for an awesome week! Cost is $75. Sign up now! Thank you for registering for high school summer camp 2018. Please remember to check your email and phone for updates as we get closer to the event date. 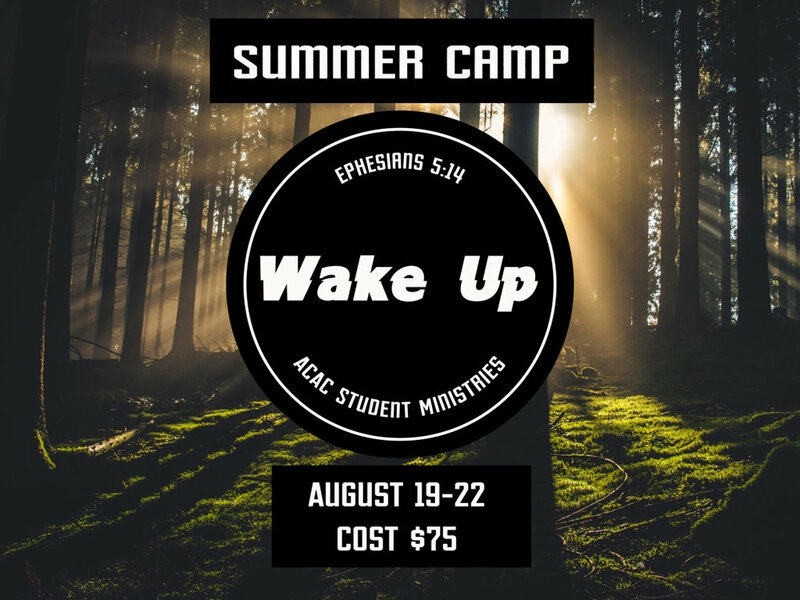 If you have any questions, contact Pastor Joe Oliver via email Joe.Oliver@acac.net Camp is going to be amazing. Thank you! Email Joel.Matonak@acac.net if you have any questions. Feeling called to get baptized? Sign up below and join us for our class August 12 at 11:30AM. The baptism will be held at Turnbull lake Sunday August 26th! 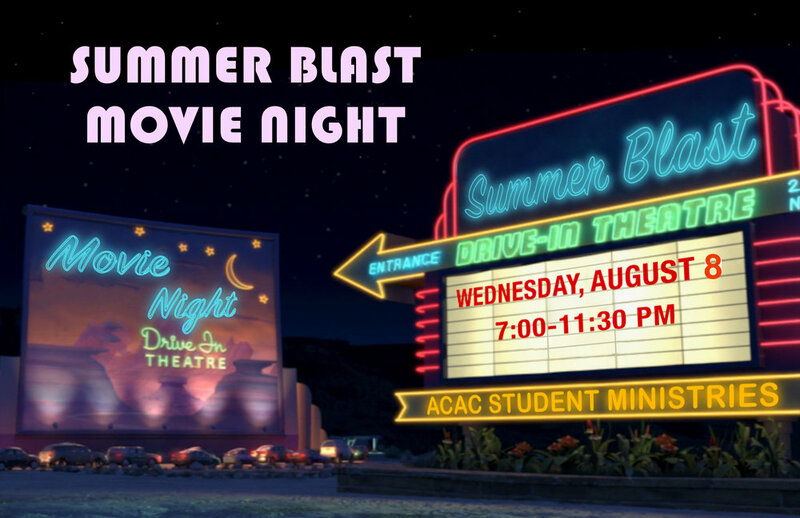 Join us for an awesome summer blast where we will be turning the parking lot into a drive in movie theater. What movie will we watch? You will decide the night of the event. If you have an idea let Pastor Joel know! Don't forget to bring your friends!!!!! Get ready for an awesome night of amazing fun. We will be going to Fun Fore All in Cranberry for unlimited go Karts, batting cages, bumper boats, mini golf, and arcade games. Oh ya we also get an all you can eat pizza buffet! This night is going to be full of craziness and fun. Invite your friends and sign up below. Join us for an evening of crazy fun, food, and hanging out. Don't forget to bring a change of clothes, towel and your friends! Join us as we take the Ultimate experience. Urban Air is the ultimate indoor adventure park. People may know us for our trampolines (because they’re awesome), but that’s just the tip of the Urban Air iceberg. Once you get inside, you’ll see what we mean. Thank you for registering for the upcoming Urban Air event. Please make sure that you click here, to fill out the waiver for your son or daughter for Urban Air. If you son or daughter is 18 and over, they can fill out their own waiver. Without the waiver, the student cannot participate. If you have any questions, please contact Pastor Joe Oliver. God bless!!! Seniors, what an amazing journey you have gone on so far. Along this journey, we want to spend time celebrating, honoring, feeding and praying for you. We hope that your and your parents can attend join in the celebration. After a school year filled with fun and spiritual growth, we want to take intentional time to celebrate what God has done in your, the students, lives. The evening is filled more fun and excitement as end the year with a BANG!!! Bring you and your friends to join us!! Students get ready to SERVE! Saturday May 12 we have the opportunity to go to Pine Valley Camp to help them get ready for their summer programming. Bring clothes that can get dirty and a packed lunch. We will be meeting at church at 8AM and back at 5PM. Sign up below! You don't want to miss a great opportunity for some bowling, food and fun. Join us and bring some of your friends as we have an awesome time bowling!! 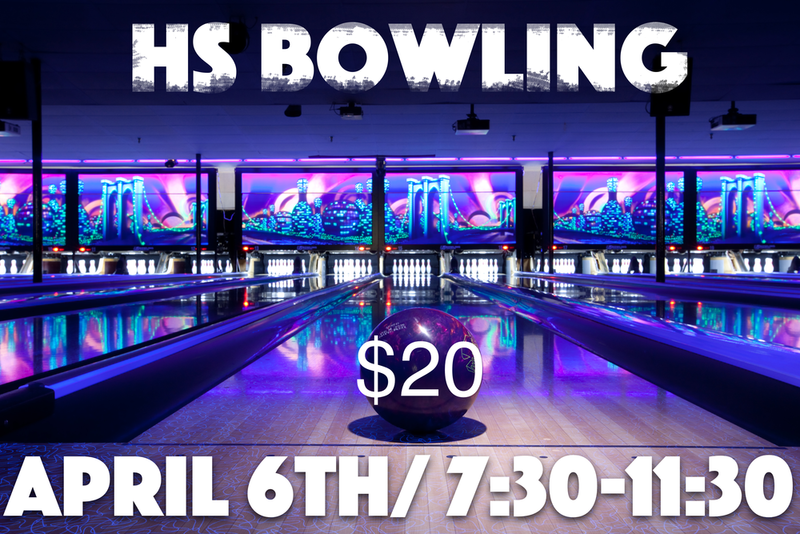 Thank you for registering for the high school bowling event. Make sure you pay attention to your email and phone for updates as we get closer to the event. God bless. Thank you for registering for the upcoming Middle school bowling event. Please make sure you check your phone and email for updates and information regarding the event. God bless!! For our 30-hour Famine, we are going to walk through what it means to experience a Natural Disaster. All over the world people experience floods, earthquakes, fires, tsunamis, tornadoes and more. This event is an opportunity to be educated, explore and equip yourself for how God can provide HOPE in the midst of disaster. Register below. Thank you for registering for the Famine. Please check your email over the next few weeks as we send out updated information. Come Ice Skate with us! We will eat pizza for dinner and drive to Schenley park to ice skate from 6:00-9:30pm. Price includes pizza and skate rental. Don’t forget to invite a friend or 7! Sign up online for a great time. Thank you for registering for the upcoming Middle School Ice Skating event. Please check your phone and email for updates and information as we get closer to the event. Have you heard of broomball? Well...if you haven't, you will just have to come and join us for the evening as we eat together and play BROOMBALL!!! This is always a fun evening to bring your friends to so they can learn and have fun. Thank you for registering for our upcoming broom ball event. Please make sure you check your phone and email for news and updates as we get closer to the event date. Parents and students are experiencing and struggling with various situations in our current culture. When it seems like there is no hope, there is. Join us for an evening of facts sharing, food and faith as we share about Student Ministries and how WE can walk alongside PARENTS as they encounter what teens are experiencing. Register below for the meeting. Thank you for registering for the upcoming Parent Meeting. We look forward to providing you with great information about Student Ministries and ways we can walk alongside you as a parent while we also walk alongside students. Are you ready for some football? This is our annual flag football fest. The event gives you food, fun and friends. We want to see you, your friends and your friends come out to cheer for your team, eat some good food and play some football. Make sure you sign up below. Thank you for registering for Football Festivus. Please check us out on instagram, Facebook, your email and text messages about updates on Festivus and future events. God bless!! MIDDLE SCHOOLERS it is that time of year again. JOLT 2017!!!!! You don't want to miss out so sign up below. Don't let your friends miss out either. Don't know what Jolt is? Read below! What is Jolt? Jolt is our Western PA CMA district retreat where we join together with 400 other alliance middle schoolers from all over western PA for a weekend full of fun, worship, and learning. Over the weekend we will have four sessions where we dig into God's Word and deepen our relationship with Him. We will also have tons of fun outside playing in the mud, having sports tournaments, and staying up late. There is nothing like a fun night of games and food. Come and join us as we go back in time to play some Old School games. Games like DDR (Dance Dance Revolution) Guitar Hero, Halo 1 &2, Mario Kart, Goldeneye, and so many more. We will be playing on old systems like Nintendo 64, Xbox, Wii and more. Look forward to seeing many of you there. Join us for 4 days at SB2W the Que, where we will canoe, rock climb, zip line, swim, and dig into God’s Word. Our theme this year is Break Free. This is the highlight of the summer. Sign up online and bring some friends. We will meet in Whiteside after 3rd service Sunday August 20. Can't wait for an awesome week! Thank you for registering for Summer Camp. This is always a great end of summer and kick off to the beginning of the school year. We can't wait to see you at camp!!! Thank you for registering for the Student Ministries Pirates game events. Please make sure that you check your email for updates and information regarding the event. it is going to be a fun night!!! We have set aside a special time for all the students and parents of the students attending our Summer Mission trips. We hope to see you all there as we lift up all the students, parents and leaders involved in the trips this summer. 8th GRADERS you will soon be leaving middle school ministry, which makes me very sad :-(. May 24th we want to celebrate you as you transition into high school. 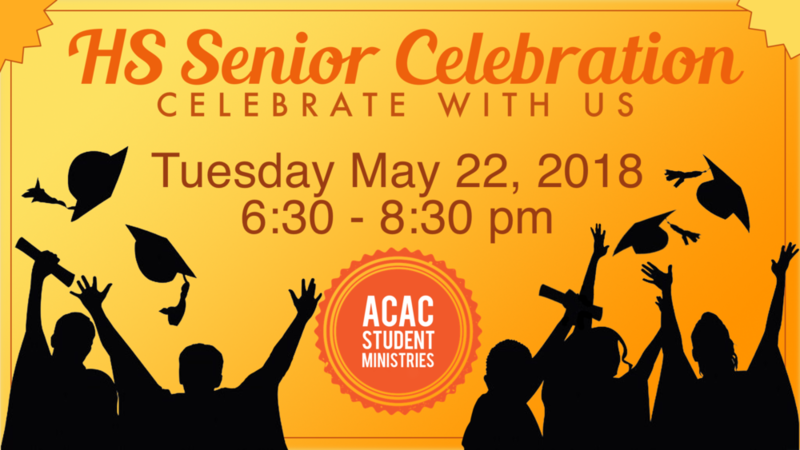 Join us for a night of celebration just for you! ATTENTION ALL MIDDLE SCHOOL STUDENTS! Join us Wednesday May 17 as we celebrate another great year of Wednesday night Blast. We will have food, crazy games, and great community. Bring your friends for a great night!